I’m completely smitten when I found this sweet bridal shoot in my inbox. I love the earthy, handmade feel of it. 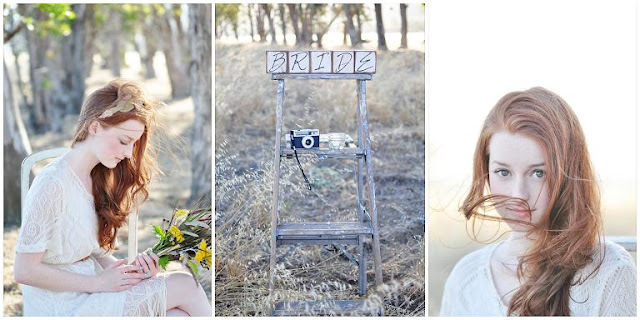 Shot in an empty field in Rancho Cucamonga, the bride thrift store ensemble cost a total of $7!! 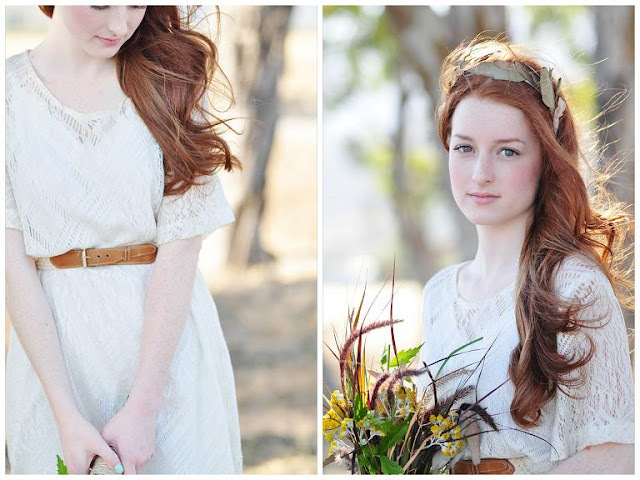 Dried eucalyptus made its way in her pretty handmade headband and bouquet. 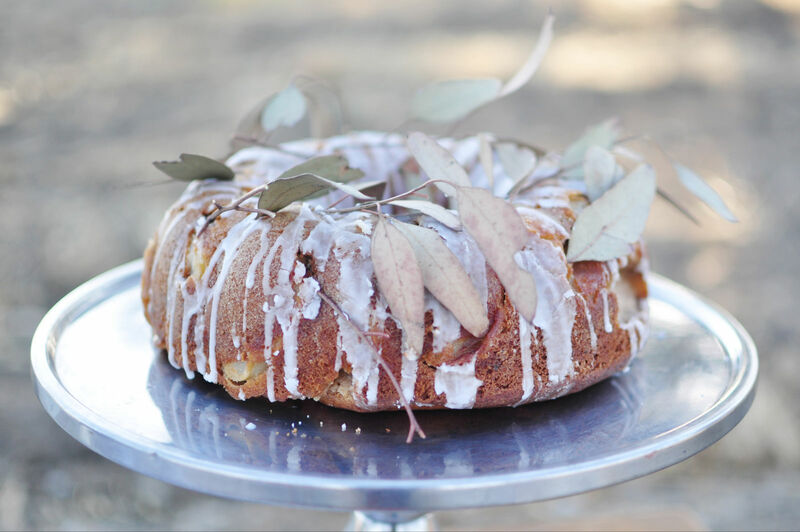 The homemade apple-cinnamon cake was also adorned with the dried eucalyptus leaves for a unique topper. 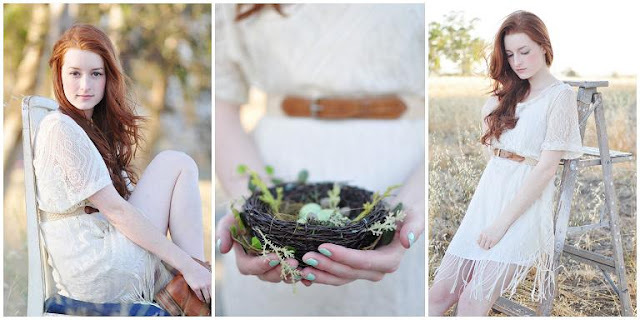 So sweet and simple, and gorgeous dreamy photography. Wow! Pretty girl and great photos! I love that the brides ensemble only cost $7 - that's amazing and shows that you don't have to spend have a fortune to look beautiful. oooh! This really is sooooo pretty! 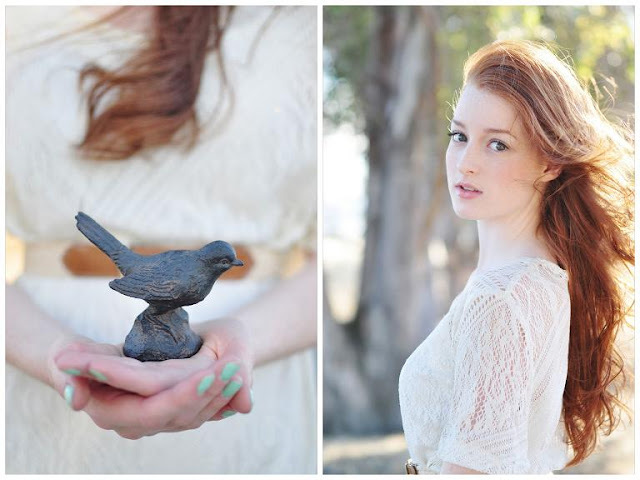 Beautiful girl, great light, great photos! I love that it's so soft and sweet. It really allows her natural beauty to shine through. What a magical shoot! Her hair looks gorgeous! Wow! 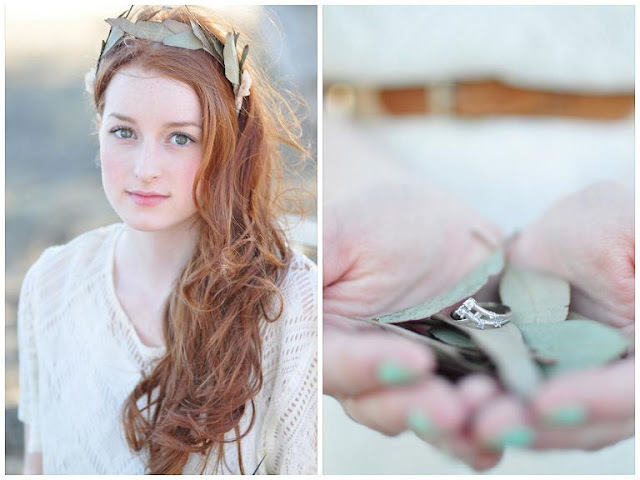 Love the use of different shades of green...especially with her red hair. Gorgeous photography. so simple & stunning - i love that cake! WOW!! What an amazing session! Love every image! i'm loving her beautiful pale skin! 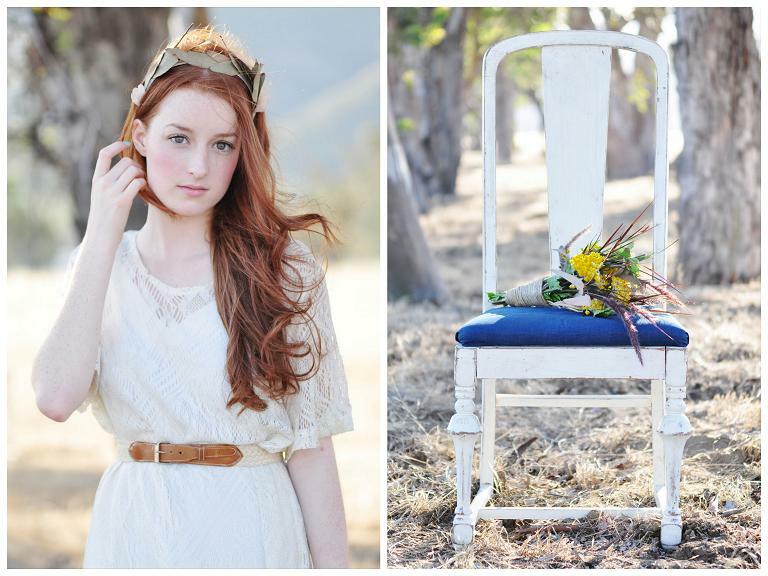 This shoot is just so gorgeous-every detail is simple and inspired! And I'm loving such a fair bride-horray for ivory girls! so earthy feeling! Oh, and she's stunning! Her outfit proves why I love thrift stores! LOVE this sweet shoot! Lovely, simple and ethereal...just beautiful! Amazing lighting! Wow $7... that's so resourceful!! And impressive. She looks absolutely stunning... so very pretty!! I am loving this. 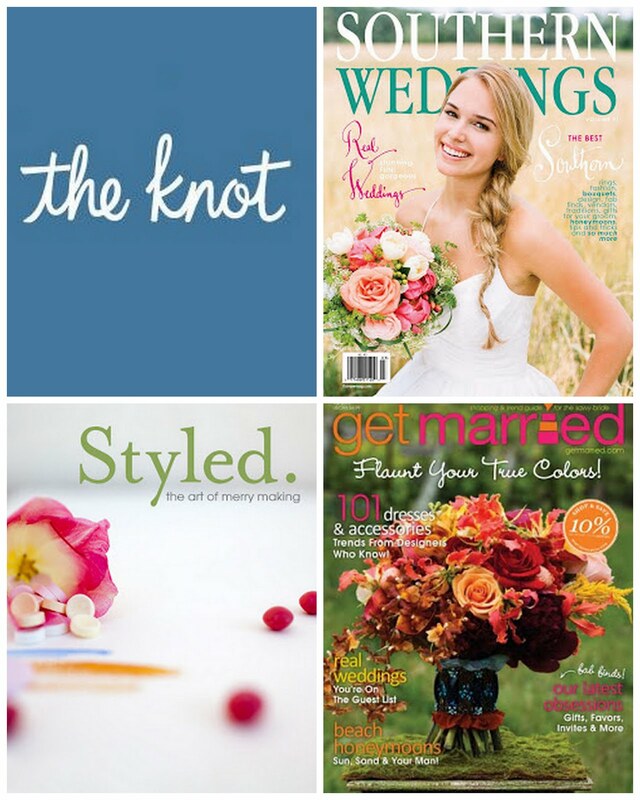 I hope to see more and more bridal shoots in the near future in the blogosphere - especially if they are as lovely as this one! $7...no that is impressive ;-))) Yay for them, and yay for this shoot! I love the whole feel of it. And the model is gorgeous with her long red locks! 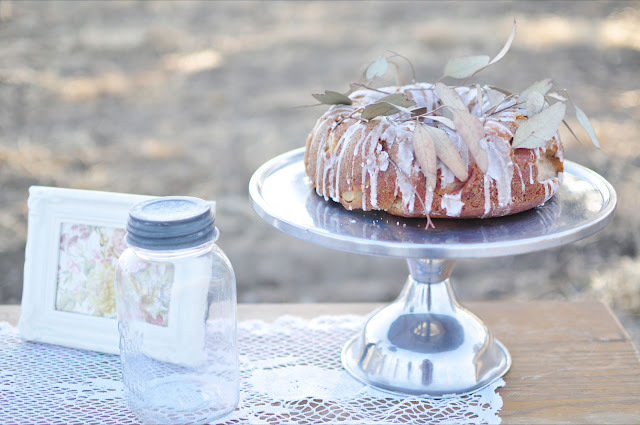 All of it is perfect...even the bundt cake!!! I love EVERYTHING about this. I want her dress!